Statistics from the US Department of Veteran Affairs (VA) denote that 22 million individuals living in America were veterans as of 2014. These individuals have served their country and are faced with unique circumstances during deployment. Oftentimes due to issues they faced during active duty, veterans are at a greater risk for substance abuse, addiction, and mental health disorders. The Department of Defense (DoD) reported that only 2.3 percent of active duty military personnel reported past-month illicit drug use during the 2008 DoD’s Survey of Health Related Behaviors. This is in comparison to the 12 percent of civilians who stated they abused illicit drugs in the past month. The decrease in drug abuse among active duty personnel attributes to the stringent regulations implemented by the military to curb substance abuse. Veterans, however, are not held to these regulations and have much higher rates of substance abuse. 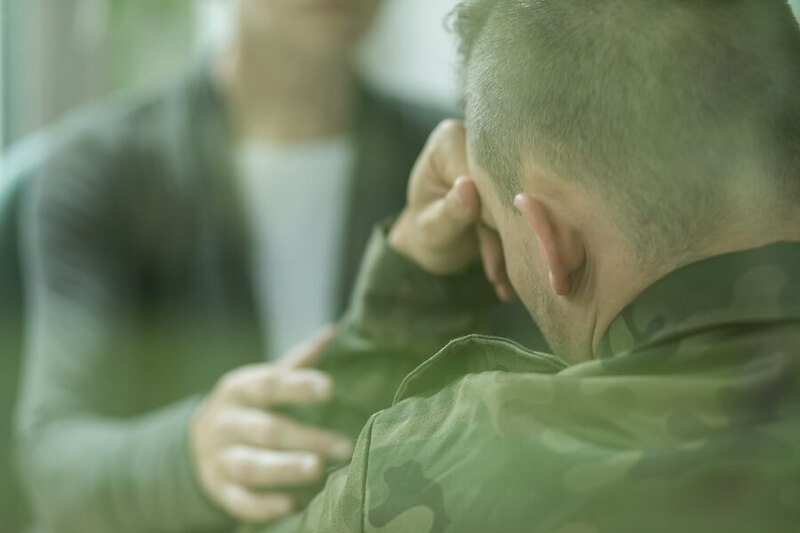 The National Council on Alcoholism and Drug Dependence, Inc. (NCADD) stated that as many as 13 percent of veterans end up abusing drugs and alcohol. What Are the Most Commonly Abused Substances among Veterans? Drugs like marijuana, heroin, cocaine, and amphetamines are not abused as often by veterans as prescription pain medications are. The number of prescriptions written by military physicians was nearly 3.8 million in 2009, four times what it was in 2001, as noted by NCADD. Even when legitimately prescribed, painkillers can lead to addiction over time. Individuals may begin taking more pills than prescribed in an effort to better manage pain, or they may take the pills when they aren’t needed to experience the euphoria associated with their use. In some instances, people may mix the painkillers with alcohol for a more potent effect. Such abuse is more common among veterans than the general public. The Department of Defense’s study revealed that only 4.4 percent of civilians misused prescription drugs while 11.7 percent of veterans abused prescriptions. Prescription drug abuse is an even bigger problem for female veterans than it is more male veterans. Drinking, in particular binge drinking, is an issue among veterans. Per Psychiatric Times, studies have shown high levels of drinking amongst military personnel. Rates of heavy alcohol use were particularly high among military members, as research from 1980 to 2005 showed that 15-20 percent of those in the military engaged in the practice. Another study conducted on 88,205 soldiers who were deployed in Iraq showed that 12-15 percent had alcohol problems. Another study reported the binge drinking rate for recently deployed individuals with combat exposure to be 53 percent. Alcohol and drug abuse is common among veterans for a reason. The initial training to enter into the military is extensive and stressful; although these individuals are under a strict zero-tolerance policy for drug abuse, alcohol is not regulated in that manner. Many drink alcohol, often regularly and heavily. Additionally, military personnel are often stationed far away from their family and friends. They have limited contact with them and must adhere to strict rules, and all of this can be incredibly stressful. It is not uncommon for military members to feel lonely and depressed. They may fear deployment, which can take them out of the country and even further away from their family members. Those who actually go into combat often see atrocities that are hard to process. They may see their fellow military members seriously injured or die. If they engage in combat, killing or causing serious harm to others weighs heavy on their conscious. Veterans have often dealt with life experiences that few in the general public will ever encounter. When individuals who serve come back home, they do not always come home to a healthy relationship. Oftentimes, the distance from loved ones and the issues that arise due to combat take a toll on relationships. This can sometimes lead to separation, divorce, or severely damaged friendships. In many cases, veterans return home and cannot find work. This is especially true for those who have combat-related injuries that limit their physical capabilities. They may even find themselves homeless if they are unable to support themselves financially. Programs implemented under President Obama have helped to decrease the number of homeless veterans. In 2014, the number of homeless veterans had dropped by one-third since 2011, as noted by data released by the federal government. Despite this improvement, the issue still plagues the community. The entire experience of serving, especially for those who went into combat, can cause mental health issues, such as post-traumatic stress disorder, more commonly known as PTSD. Post-traumatic stress disorder is a condition that can occur after an event that was shocking, dangerous, or traumatic. While it is normal to feel scared or stressed for some time after such an event, when the fear does not subside with time and the person continuously feels frightened, it is known as PTSD. The person may experience flashbacks and avoid certain situations. Individuals who do not receive treatment for PTSD may begin abusing alcohol, prescription drugs, or illicit drugs to cope with the symptoms. In general, seven or eight people out of everyone 100 will experience PTSD at some point in their lives, per the US Department of Veteran Affairs. This is equivalent to 7-8 percent of the US population. The percentage of veterans who experience PTSD is even higher. Of those who served in Operations Iraqi Freedom and Enduring Freedom (OEF), 11-20 out of every 100 developed PTSD in a given year. Fifteen percent of those who served in the Gulf War, also known as Desert Storm, developed PTSD in a given year. Studies showed that 15 out of every 100 Vietnam veterans were diagnosed with PTSD in the 1980s. Of all the Vietnam veterans, it is estimated that 30 percent had PTSD over the course of their lifetimes. Over 20 percent of veterans who have PTSD also have a substance abuse problem. War veterans who attempt to self-medicate with alcohol may binge drink when they experience recurring memories of incidents during combat. Not all of the individuals who serve develop PSTD as a result of the actual combat. Numerous women reported to the VA that they were sexually assaulted when in the military, 23 percent to be exact. The VA states that 38 percent of males who use VA services experienced sexual harassment while in the military. The VA states that of almost 3 million veterans, age 65 and older, who use the VA for healthcare, 11 percent have been diagnosed with major depressive disorder. When compared to the general population of individuals aged 65 years or older, the rate for veterans is twice as high. The VA further states that the actual percentage of older veterans may be higher since not all seek out treatment for their depression. It is not uncommon for a veteran to become depressed due to issues that arose from serving, which may have led to them self-medicating with substances of abuse. Those who had previously experience substance abuse problems are more at risk for addiction as are those with co-occurring disorders, such as PTSD. What Treatment Is Available for Veterans? The VA provides healthcare and specialized treatment to veterans for general health and behavioral health. Those who do not wish to use the VA’s healthcare system or who are on an extensive waiting list may seek treatment at public or private drug and alcohol recovery centers. Certain treatment centers may have programs designed specifically for veterans, or they will customize treatment to accommodate for issues related to veterans, such as PTSD or other trauma-related disorders. Treatment for veterans must adequately address all co-occurring disorders. If only the substance use disorder is addressed, relapse is highly likely. Instead, treatment should be tailored to each individual, ensuring the highest level of care for the specific situation at hand. 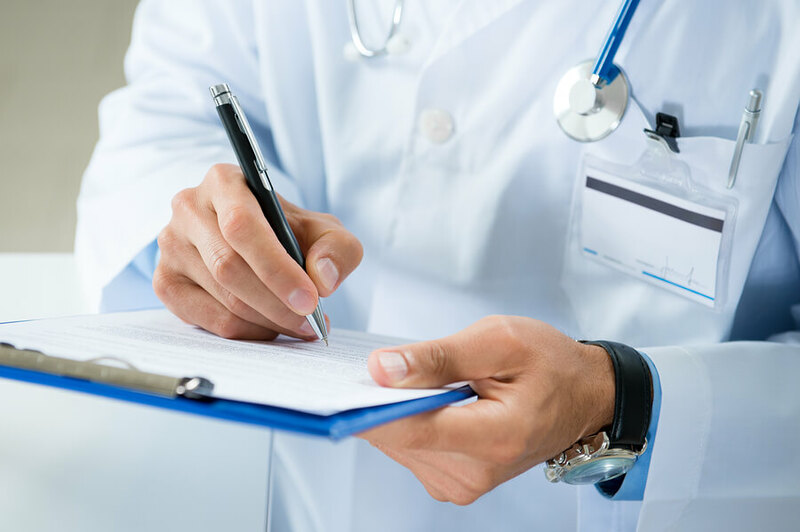 Generally, addiction treatment will begin with medical detox and progress into a comprehensive treatment program that involves intensive therapy. The therapy portion of a treatment program consists of understanding why the condition developed. Cognitive Behavioral Therapy is often used in addiction treatment in addition to a variety of other complementary techniques, depending on the particular therapist and client. Specific treatments may be used to address PTSD, which is common in veterans. Exposure therapy involves exposing the client to situations that normally trigger fear or panic, such as crowded areas. At first, the therapist may talk the person through the experience, having them imagine they are in a crowded room. As the client grows more comfortable with the imagined scenario, exposure therapy may progress to putting the client in the actual situation. The therapist gently guides the client through the process, assuring the client that they are safe. Eye Movement Desensitization and Reprocessing (EMDR) therapy is a treatment that is geared specifically toward those with PTSD. The therapist guides the client through a series of eye movements while they discuss the traumatic experiences, and it is believed that the eye movements help the client to process the trauma. EMDR is commonly used in conjunction with other therapies to treat veterans. These therapeutic approaches may be used alone or in combination with medications. Antidepressants and anti-anxiety medications may be used to treat both depression and anxiety, and stabilize clients in the recovery process. Other medications may be used during the detox process or to treat specific symptoms, such as insomnia. Various treatment options exist for veterans when it comes to addiction care. The key is to find a program that is customized to the individual needs of each client, ensuring each veteran has the best chances of sustained success.